The Piazza della Rotonda is a piazza (city square) in Rome, Italy, on the south side of which is located the Pantheon. 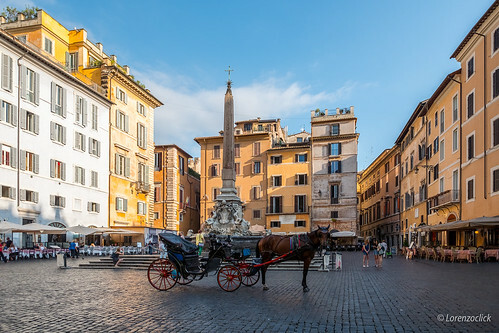 The square gets its name from the Pantheon’s informal title as the church of Santa Maria Rotonda. Previous: Pretoria Image: Union Station Area, Washington, D.C.